The Oxford Bus Company is increasing the size of its PickMeUp fleet for the second time in response to passenger demand. 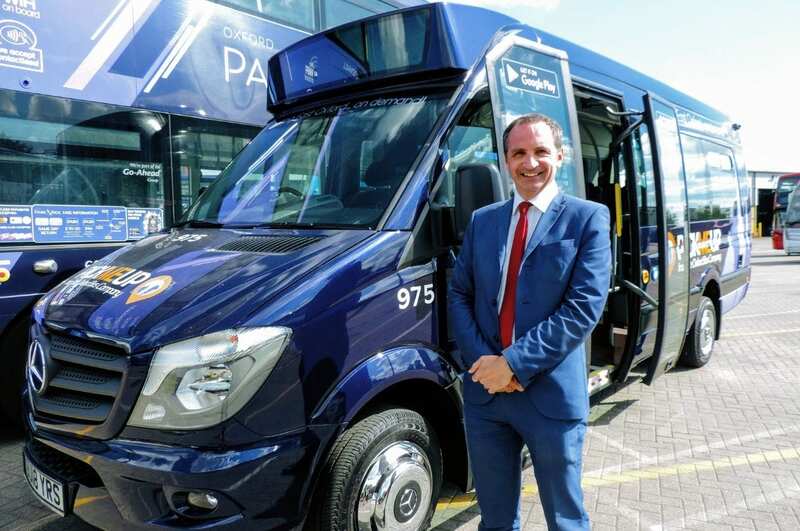 Two additional ultra-low emission Euro 6 Mercedes mini-buses will go into service on Sunday and five new driving jobs have been created. Two new vehicles were also added to the fleet in October 2018. These mini-buses have tables, comfortable seating, wi-fi and luggage space to assess customer reaction to these new features to enhance the customer experience. “Due to phenomenal demand we have added two additional buses to our PickMeUp fleet to enable us to expand the service and respond to more pick-up requests. PickMeUp was the county’s first transport service of its kind when it was introduced in June, enabling passengers to request a mini-bus pick-up within 15 minutes at a virtual bus stop using a mobile phone app. The service provides flexibility for passengers to choose both the start and end point of their journey within the Eastern Arc of the city. Passengers are matched with others wishing to make similar journeys to enable ride sharing. It was designed to help reduce congestion and compliment traditional services. It operates between 6.00am and 11.00pm Monday to Friday and between 7am and midnight on Saturday and 9am to 9pm on Sundays, with an average response time of 10 to 15 minutes. The introductory fare of £2.50 per journey is still being charged, with a surcharge of £2.50 if the journey could be made via an existing Oxford Bus Company bus route and the walk is 200 metres or less. Multi-journey passes are available as well as corporate packages.